Are you looking for summer activities for the kids? 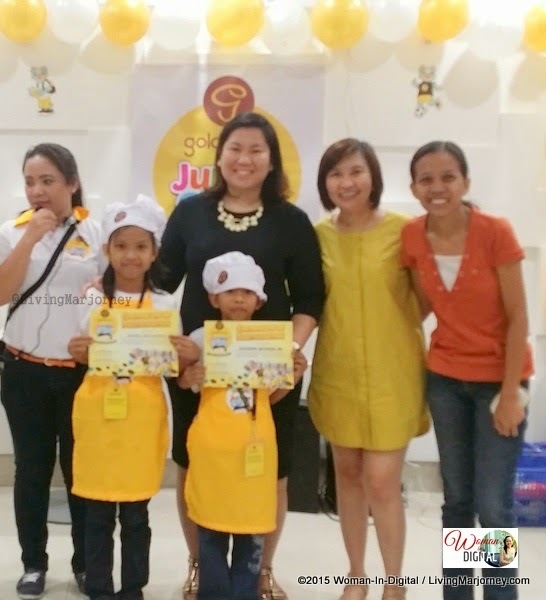 About a week ago, my niece and nephew joined the 1st Goldilocks Junior Crew where they met and make new friends. Because we don't want them to play computer games the whole day, summer workshops are recommended to teach them leadership while having fun at the same time. 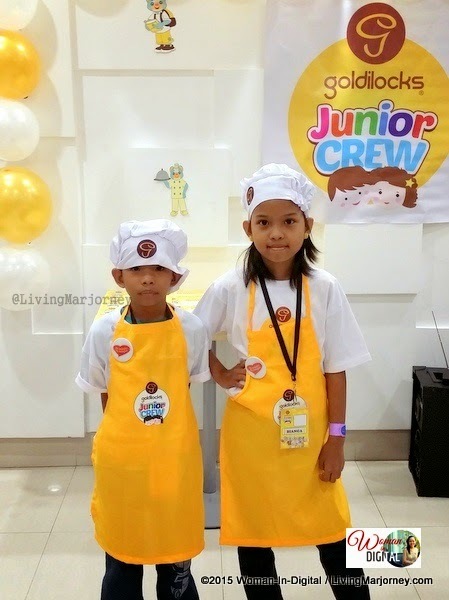 If you or your kids are in the age range of 6 to 12 and interested in cakes and pastries, they could join Goldilocks Junior Crew Workshop! 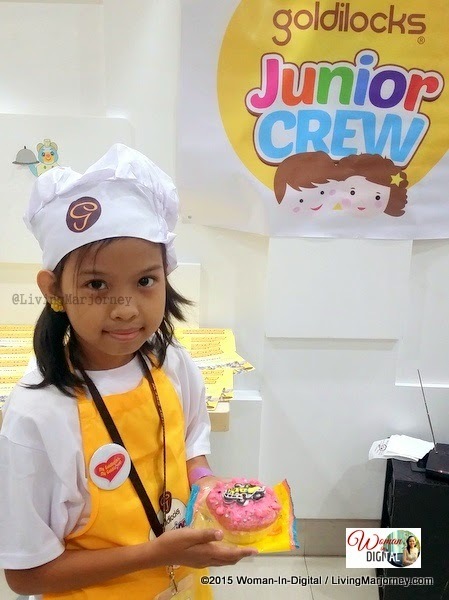 This year, the famous cake shop, Goldilocks has come up with their very first Junior Crew workshop. 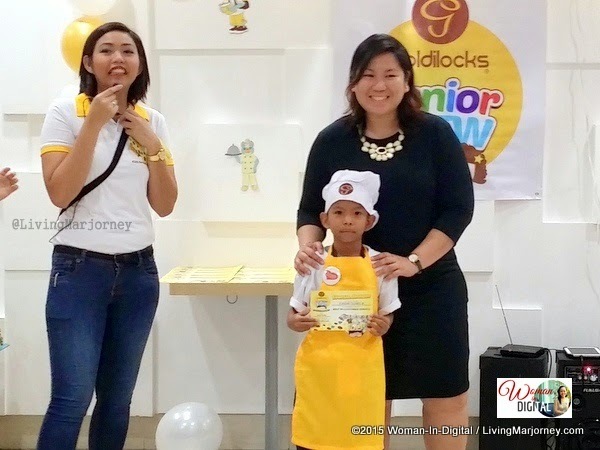 #TeamWomanInDigital represented by Bianca joined this five days activities held at Goldilocks Megamall from April 20-24. 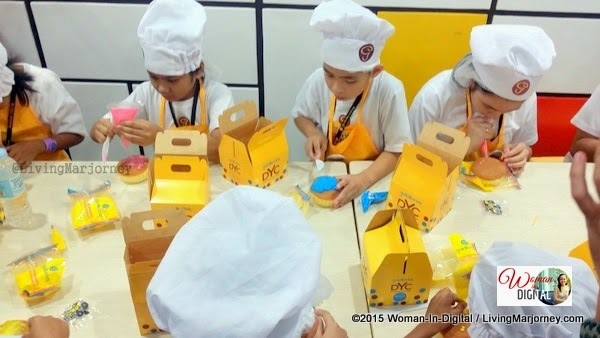 Goldilocks Junior Crew focused on educational and immersive store experience of being a Goldilocks crew, children learned to participate in various games and art sessions including the kid-favorite Goldilocks Decorate Your Cake activity. In total, the workshop lasted for two (2) hours each day for five (5) days. Registration fee is P550 inclusive of Goldilocks Junior Crew Uniform, Art Materials, Meals and Certificate of Participation. On day 1, like any other activities, the focus was getting-to-know fellow Junior Crew. They introduced themselves and shared what they want to be when they grow up. They were also taught the Goldilocks Junior Crew Pledge. Of course, there's games and surprises. The kids enjoyed the tour around the store, from the kitchen to the cashier/counter. On Day 2, the kids met Goldilocks customers. They greeted "Goldi good day!" Some of them were awarded the "Best in Customer Service". Fun and learning activities continued until day 4. The last day is the much awaited graduation day. 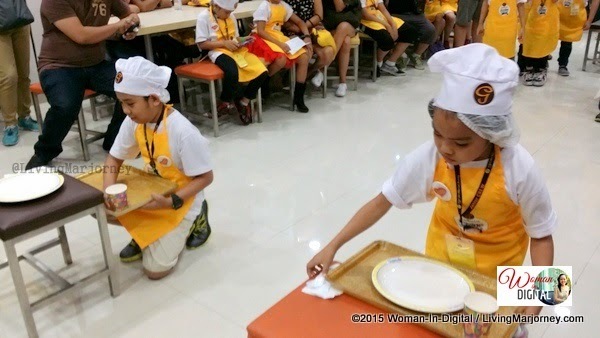 After the awarding ceremony, the kids get excited for the final activity, the Goldilocks DYC Decorate Your Cake. Thank you Goldilocks for such a wonderful and learning summer workshop. My pamangkins enjoyed the activities. 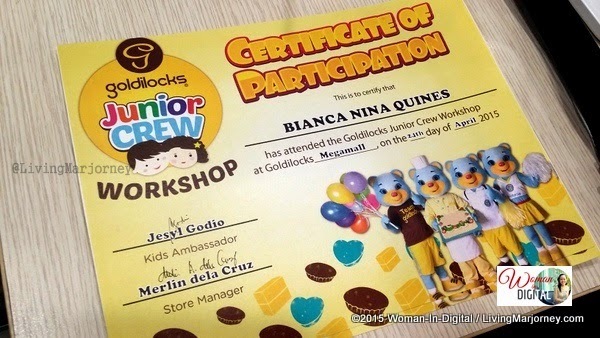 The kids are now certified Goldilocks Junior Crew.